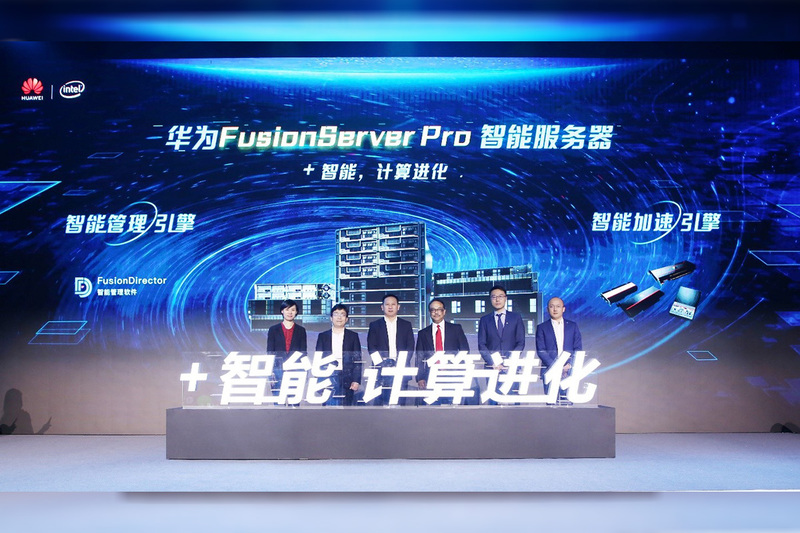 At today’s +Intelligence, Taking Computing to New Levels press conference, Huawei Intelligent Computing Business Dept announced the FusionServer Pro series of intelligent servers. These next-generation x86 servers accelerate the intelligent transformation of data centers thanks to an intelligent acceleration engine, intelligent management engine, and intelligent data center solutions for diverse scenarios. Transformation today is shifting from digital to intelligent. As the core driving force, the computing industry faces challenges in computing power and management. Featuring outstanding computing power and intelligence, Huawei’s x86 FusionServer Pro will harness the computing industry and enable transformation into an intelligent world. High OPEX of data centers: It’s costly to deploy, manage, and maintain a large number of servers in traditional data centers. To address the intelligent transformation requirements of data centers, Huawei upgrades its FusionServer series to FusionServer Pro intelligent servers and provides tiered solutions covering single-node, large-scale, and ultra-large-scale deployment scenarios. Ultra-large-scale deployment: Besides the intelligent acceleration and management engines at the device level, three innovative intelligent data center solutions are provided:Intelligent L1-L2 linkage: This solution links the air conditioners at L1 and the servers at L2 to improve the overall energy efficiency of data centers.Full liquid-cooling cabinet solution: This energy-saving solution can reduce Power Usage Effectiveness (PUE) by 30% for data centers. Its high-density deployment can save 76% of cabinet and 68% of equipment room space. Compared with the air cooling solution, this solution can reduce total cost of ownership by 20%.Integrated cabinet solution: This solution introduces large-scale and rapid deployment, node blind-mate insertion, and intelligent robot O&M to make unattended intelligent data centers a reality. 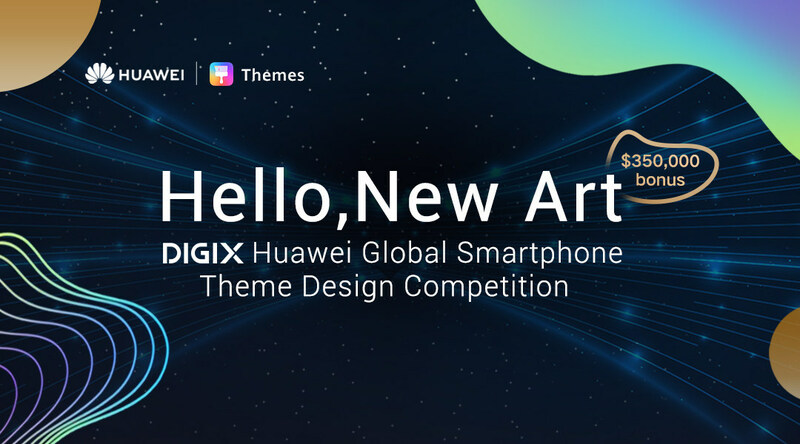 DIGIX HUAWEI Global Smartphone Theme Design Competition was formally launched on April 11th, inviting exceptional designers and art enthusiasts from all over the globe to send in their thematic interface designs, including illustrations, animations, and 3D graphics. With the theme of ‘Hello, New Art’, this competition aims to create a fusion of art and technology, sharing the cutting-edge design and aesthetic trends with global users. An impressive panel of judges has been appointed including Xiaokang Liu(KL&K Creative Strategics Founder), Jun Fei (Professor of School of Design, Central Academy of Fine Arts), Bai Cha (One of China’s Most Popular Cartoonists), María José Pérez-Luque (Head of the Multimedia and Graphic Design program, ESNE, Madrid), Alejandro Magallenes (Member of the Alliance Graphique Internationale), Jun Liang (Huawei UCD Chief User Experience Design Director), Alexandre Plicque Gurlitt (Senior Visual Designer, Paris Aesthetic Research Center), and other prominent design masters so as to forge the most influential design arena in the mobile phone industry. This year’s Global Theme Design competition is divided into four separate categories, including illustrations, animations, 2D graphics, and 3D graphics. Designers can choose to submit work into any category to compete for the prize and demonstrate their uniqueness in the specific art field. In this world-class design competition, designers from all over the world will compete on the same stage and interpret new art with extraordinary creativity. Art design will be revitalized by those talented designers in the process of exploring the futuristic aesthetics. Eight major awards were set up for 134 winners, with a total prize of more than $330,000 US dollars, and will include the Global Winner Grand Prize, Stars of Tomorrow Award, Most Popular Award etc. In addition to cash rewards, as part of the designer support program, a special Creative Fund is established to incentivize the art work creation and guarantee artists the corresponding income. 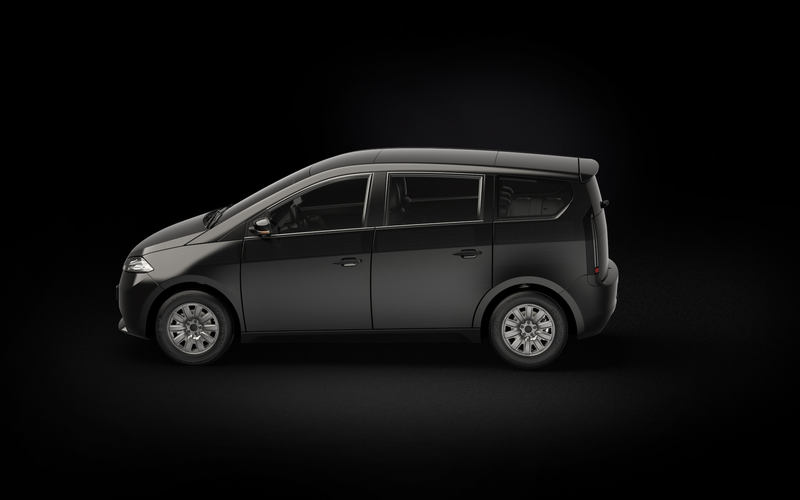 At the same time, this competition will be launched in more than 170 countries and regions. All entries are able to receive exposure from billions through online and offline channels worldwide, bringing an extraordinary experience to hundreds of millions of Huawei smartphone users. In line with this competition, Huawei officially launched the Theme Development Tool 9.0. The newly upgraded theme development tool supports theme visualization editing, multi-effect online preview, and materials one-click packaging, enabling designers to get rid of complex lock screen script development etc., generating a designer friendly environment and leaving more time for the creation. 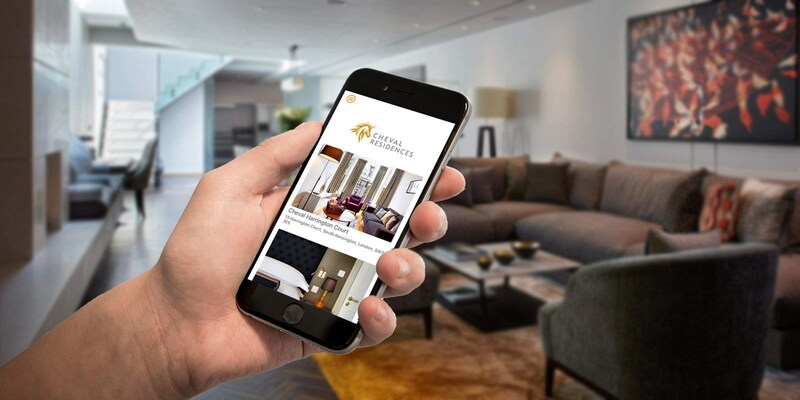 The theme is one of the key artistic measure of smartphones and the theme designer is the master of making the fusion of art and technology possible. And hundreds of millions of users will be influenced by every detail of the theme design. A great number of designers from all over the world will participate this competition enthusiastically! For more information, please visit the official website: https://themes.cloud.huawei.com/contest/index.html or open the Huawei Themes application to enter the competition registration page and sign up to participate!